09 Sep The 2018 Sports Capital Programme is now open for applications ! The 2018 Sports Capital Programme is now open for applications. Applications are being sought from sports clubs, voluntary and community groups, national governing bodies of sport and local authorities. 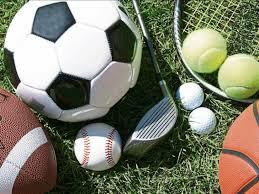 Third level colleges, Education and Training Boards and schools may only apply for funding jointly with sports clubs. Welcome to the Sports Capital Programme Portal. This portal is used to apply for funding and manage the drawdown of grants. A guide to registration is available. The 2018 Sports Capital Programme will be open for applications from 9am on Friday 7th September to 5pm on Friday 19th October, 2018. Any organisation wishing to make an application under the Programme must be registered on OSCAR by 5pm on Friday 5th October, 2018.